The Stoneridge Mountain Resort offers ideal accommodations to enjoy the natural beauty of Banff and Canmore with views of the Canadian Rockies from almost every suite. wireless internet, I-pod stereo, gas fireplace, custom pillow top king-sized beds and down duvets, in suite laundry and extra-large soaker tubs. Hotel resort amenities include year-round heated outdoor swimming pool & hot tub, fitness center, heated underground parking & on site meeting and banquet facilities. 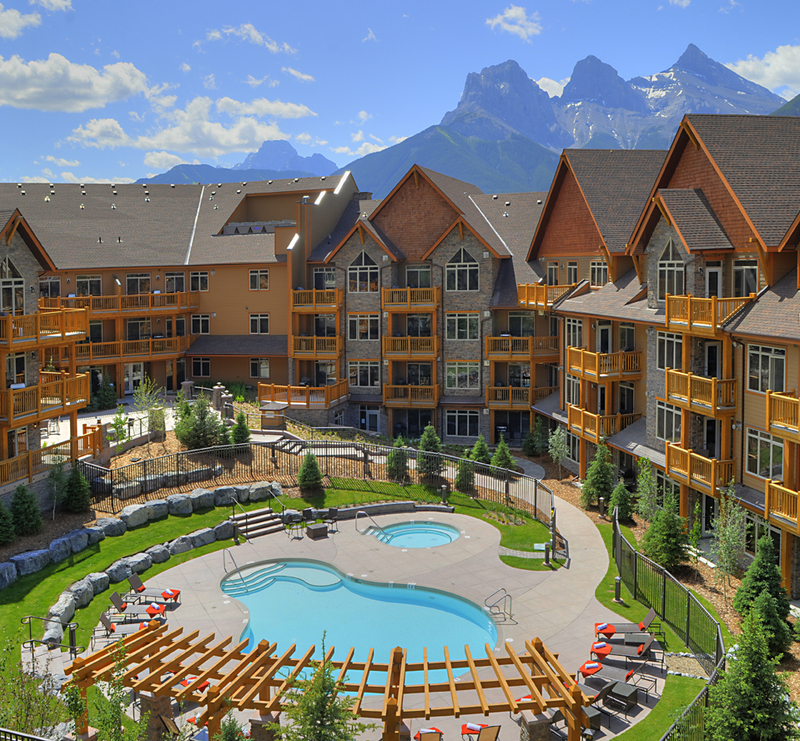 The Stoneridge Mountain Resort leaves you within easy driving distance of all the famous Canadian Rockies golf courses. Book your golf vacation getaway at the Stoneridge Mountain Resort HERE!